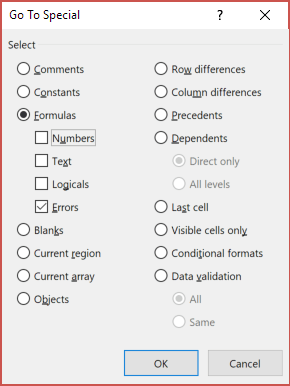 What are #REF Excel Errors? A #REF error (the “ref” stands for reference) is the message Excel displays when a formula references a cell that no longer exists, usually caused by deleting cells that a formula is referring to. Every good financial analystThe Analyst Trifecta® GuideThe ultimate guide on how to be a world-class financial analyst. Do you want to be a world-class financial analyst? Are you looking to follow industry-leading best practices and stand out from the crowd? Our process, called The Analyst Trifecta® consists of analytics, presentation & soft skills knows how to find and fix #REF Excel errors, which we will explain in detail below. Below is an example of how you may inadvertently create a #REF Excel error. To learn more, watch CFI’s free Excel course and follow the video instruction. The first image shows three numbers being added together (5, 54 and 16). 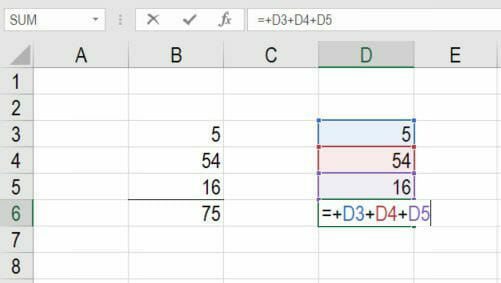 In column D we show the formula adding cells D3, D4, and D5 together, to get 75. The next image shows what happens if row 4 is deleted. 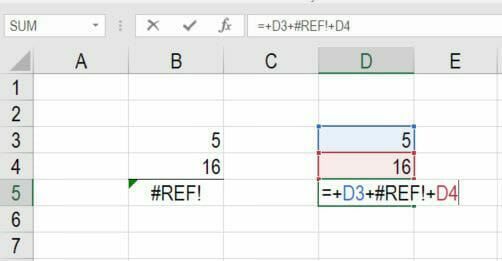 When the entire row is deleted, the formula that referenced cell D4 is no longer able to locate that cell, and it produces a #REF error in the spreadsheet. Learn more about #REF Excel errors in our free Excel training course. A fast way to find all #REF Excel errors is to press F5 (Go To) and then click on Special, which for short is referred to as Go To SpecialGo To SpecialGo To Special in Excel is an important function for financial modeling spreadsheets. The F5 key opens Go To, select Special Shortcuts for Excel formulas, allowing you to quickly select all cells that meet certain criteria.. When the Go To Special menu appear, select Formulas, and then check only the box that says Errors. Click OK and that will automatically take you to every cell that has a #REF! error in it. Another method is to press Ctrl + F (known as the Excel find function) and then type “#REF!” in the Find field and click Find All. This will highlight every cell with the error in it. The best method is to press Ctrl + F (known as the find function) and then select the tab that says Replace. Type “#REF!” in the Find field and leave the Replace field empty, then press Replace All. This will remove any #REF Excel errors from formulas and thus fix the problem. As the above screenshot shows, after typing the error message you are experiencing in the “Find what” filed, leave “Replace with” blank and press “Replace All” in the bottom left corner. This will cause the reference errors to be deleted from your formulas. We hope this has been a helpful CFI guide on #REF Excel errors. If you want to be a master of Excel, please check out all our Excel Resources to learn all the most important formulas, functions, and shortcuts.